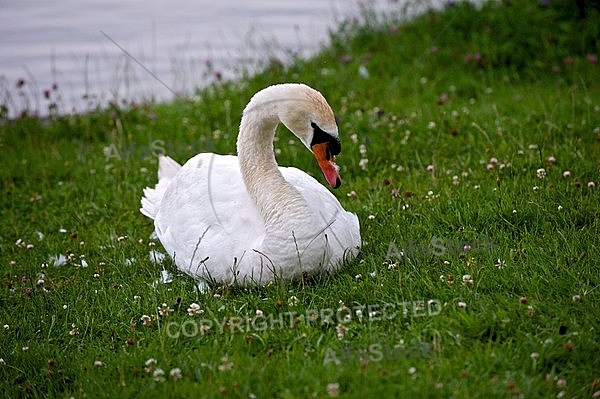 Swans, genus Cygnus, are birds of the family Anatidae, which also includes geese and ducks. Swans are grouped with the closely related geese in the subfamily Anserinae where they form the tribe Cygnini. Sometimes, they are considered a distinct subfamily, Cygninae. There are six to seven species of swan in the genus Cygnus in addition there is another species known as the Coscoroba Swan, although this species is no longer considered related to the true swans. Swans usually mate for life, though 'divorce' does sometimes occur, particularly following nesting failure. The number of eggs in each clutch ranges from three to eight.